This entry was posted in Uncategorized and tagged Buddhism, ego, enlightenment, God, Kundalini Yoga, oneness, spirituality, Yoga, Yogi Bhajan. Bookmark the permalink. Donna this is a good comparison between betrayal and omission. For years I resented the lack of recognition to my accomplishments by my parents. Anyway I found an easier route in acceptance not forgiveness. When everything is seen as divine perfection in the universe, how can I forgive people for their actions? It clearly means I was hurt. Acceptance brings me an emotional state of balance. Thanks for this thoughtful comment, ramonthomas. I love reflecting on this and appreciate your taking the time to share your thoughts. One performs work, but has no intention to acquire personal power. When one’s task is accomplished, one lets go of it and seeks no reward or recognition. Because one does not claim credit for oneself, one does not do any damage to oneself. This is from the Hua-Ching Ni translation. So the problems are with “possesing something” – namely the ideas; with seeking recognition, and with expecting recognition and gratitude and fame. All of these are things Lao Tse warns against time and again. In Tao the path of the sage is the same as the path of the bird through the air. It leaves no trace. The response of other people is of no significance because one’s personal essence is not shaped by the response of other people. Acceptance and forgiveness are both uncalled for. They are dualistic. “I accept them.” “I forgive them.” They are both ways of expanding our egos by admiring our own magnaminity. And while ego gratification may not be the recognized reason behind choosing to respond with accetance and forgiveness, the ego of sophisticated people has become even more sophisticated about the methods it uses to feed itself. Yes, letting go of both authorship and the idea of ownership are loved ideas in the Tao, as well as other spiritual classics, such as the Bhagavad Gita, in which we are reminded to let go of the fruits of our actions (Karma Yoga). This aspect of detachment can be helpful in bringing us to the space of neutrality. Contrary to what you asserted, this is the process of ending the dualistic pattern of separation with the present moment! And finally, as to the idea of forgiveness as ego expansion, firstly, I must say, that it is too bad that through our interest in eastern teachings, many have developed a sort of phobia of ego. Ego has to be tempered, but as a vehicle, takes us through Maya, so we can hopefully, wake up. 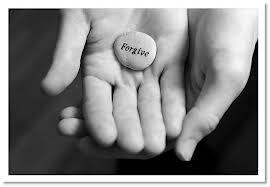 Consider forgiveness as simply a way of making peace with your past, in order to move forward. It is heart opening. Something that makes us whole. This need not be seen in terms of aggrandizing or belittlement, any more than any other act of healing is. It makes us whole. But this must not be confused with our usual ideas of the practice of “unselfishness,” which is the effort to identify with others and their needs while still under the strong illusion of being no more than a skin-contained ego. Such “unselfishness” is apt to be a highly refined egotism, comparable to the in-group which plays the game of “we’re-more-tolerant-than-you.” The Vedanta was not originally moralistic; it did not urge people to ape the saints without sharing their real motivations, or to ape motivations without sharing the knowledge which sparks them. Both of these things point to the problems that are caused by concepts of “ought to” behaviour, either towards others or towards ourselves. When one experiences the world as one thing and as Self, then “ought to” behaviours become unnecessary and superfical. Behaving like a realized individual does not help one to become a realized individual.